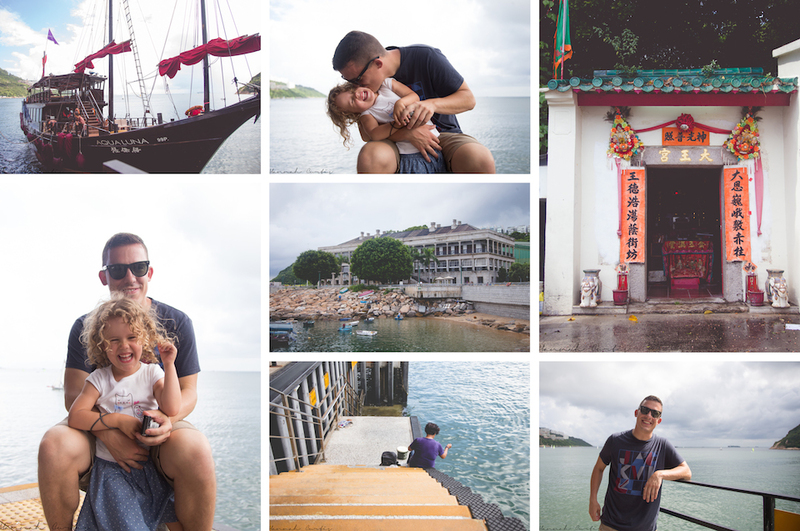 On our first morning in Hong Kong we hit the ground running with sight seeing, that was until we stepped outside and realized how miserably hot Hong Kong was! We still did our sightseeing just with a lot less spring in our steps. Our first stop, after eating our pastries for breakfast, was Wong Tai Sin Temple. We arrived early to try and beat the crowds but I guess our early wasn’t early enough as crowds were well and truly formed. Thankfully the crowds didn’t distract from the beauty of the Temple, which I am almost certain had a lot more to it than what we saw. Already tired and soaked through from the heat we moved on to Nan Lian Gardens, which was ranked number 3 on Trip Advisor when we visited, sadly it didn’t rank that high for us. Entirely due to the maintenance that was underway so we didn’t get to see the pagoda or red bridge. The girls loved the opporutinuty to run around, picking up dead leaves and of course the first of many refreshment breaks. Even with the maintenance it is still a very beautiful peaceful place, you can easily forget that just outside the grounds is the hustle and bustle of Hong Kong. 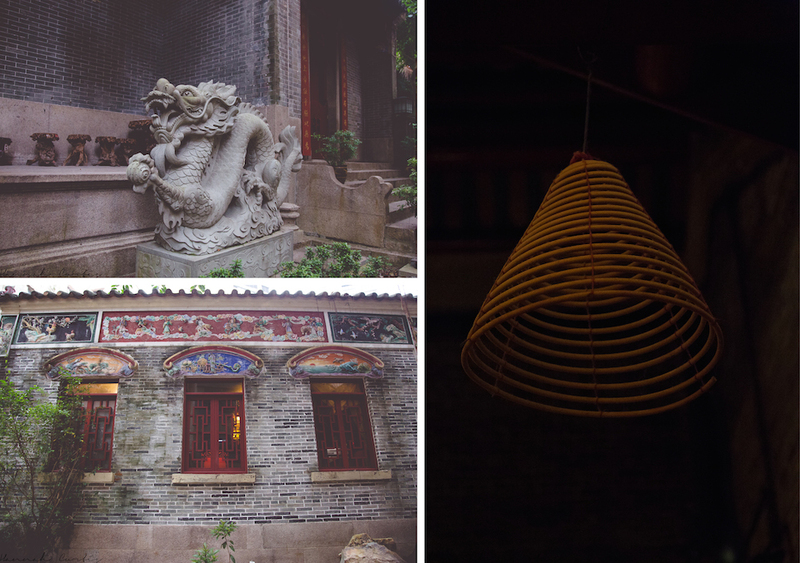 We walked for a couple minutes until we reached Chi Lin Nunnery; this Buddhist complex was gorgeous. Walking inside we could hear monks chanting, although I am not sure if it was a pre-recording or the actual thing it was so perfect, either way it was so relaxing and even better there were only a handful of other visitors! The rest of our first day was spent walking the markets, eating and staying hydrated in the heat! So after a busy two days (the second being our fantastic day on Lantau Island) and being up bright and early the first two mornings, we decided to take the third a little easier and attempt to sleep in; which didnt quite work out since we were all in the same room, so as soon as one child woke, they woke the next and they both woke us! We indulged in the breakfast at the hotel and took our time getting ready. This kind of turned out to be a big mistake, although we didn’t quite realize it at the time. After our leisurely morning getting ready we finally jumped on a bus to take us to the ferry terminal. Then we got lost. We found the ferry terminal, it was just the wrong one! We were at the China Ferry Terminal (where we would head later in the week to get a ferry to Macau) NOT the Star Ferry terminal, which really wasn’t that far away but we wasted a lot of time looking for it. When we finally made it to catch the famous Star Ferry across the harbor we were all in bad moods. Then we got lost again. 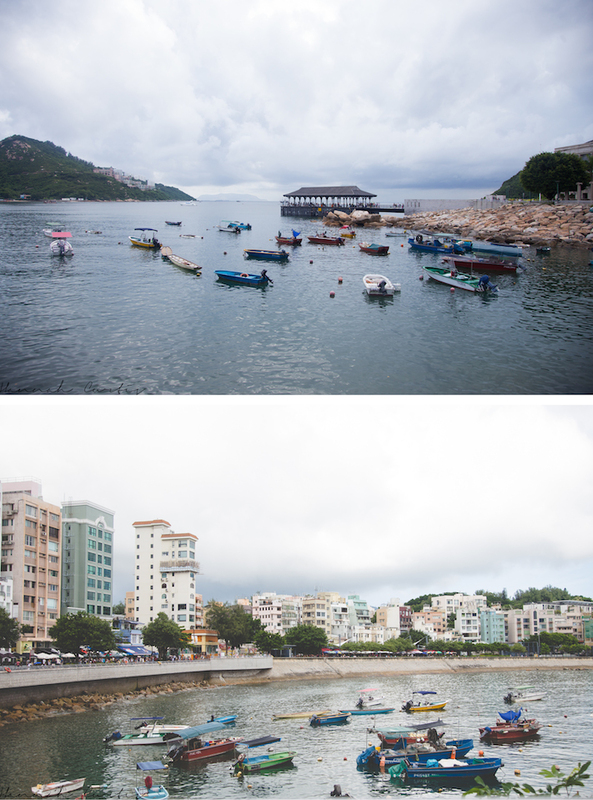 This time we were looking for the bus/bus stop to take us to Stanley where I had originally thought we would get to spend a good few hours exploring before boarding our pre-booked junk boat ride home. To top off our morning, as soon as we arrived in Stanley it started raining big heavy droplets and we only had a little less than 2 hours before our ride back to Kowloon. Just enough time to get bamboozled at Sei Yin before moving to a water front restaurant to enjoy the view and nibble on chips and salt & pepper shrimp and a couple of much needed adult beverages. 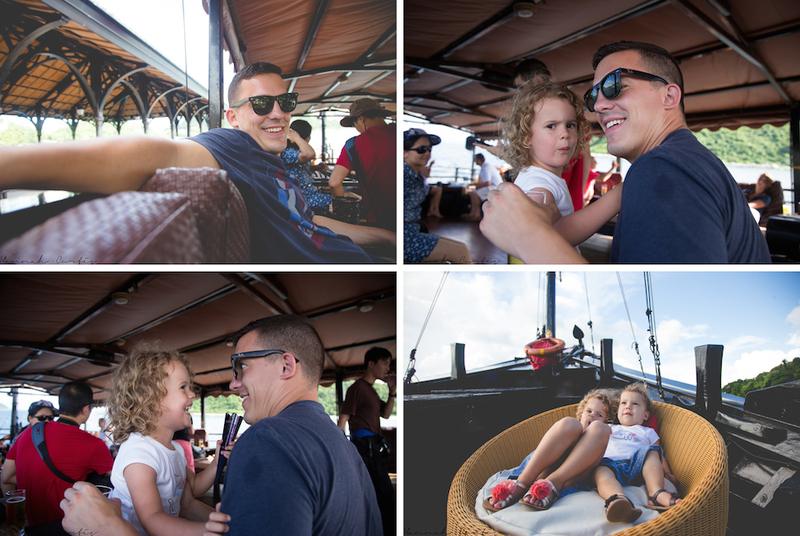 Then before we knew it we were boarding the AquaLuna for a less chaotic ride home, lounged out, listening to music and enjoying our complimentary drinks. Eden loved the junk boat ride and spent a good chunk of it dancing in the middle! Clio was less than impressed; over tired and ready to be done for the day she made the ride a little less relaxing than it could have been. 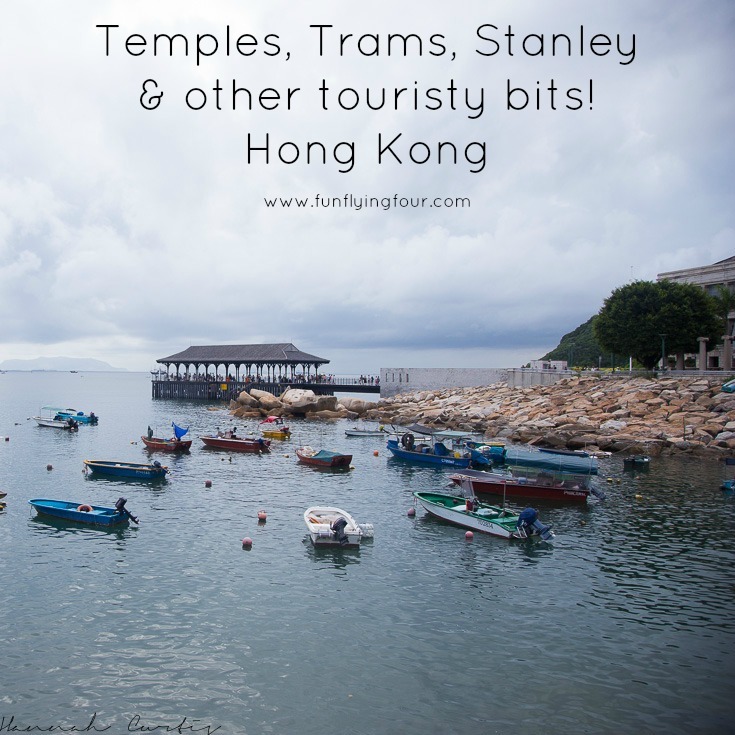 I think Stanley has a lot more to offer than what we saw and if we ever returned to Hong Kong I would definitely make a point of returning to Stanley, for a day rather than a couple of hours! The journey home was without a doubt the highlight of our day, even if Clio was a crab. 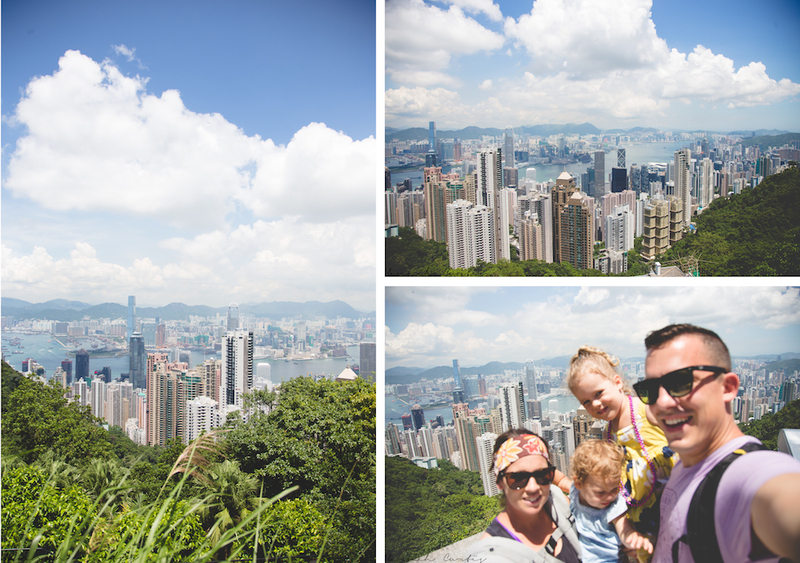 Views from The Peak, out of focus family selfie! Our 5th day in Hong Kong we rode the historic Peak Tram up to Victoria Peak to take in the breathtaking views of Hong Kong. We decided not to pay the extra fee to go up to the Sky Terrace, although I have a friend who did a couple days before and said it was fantastic. Throughout this whole trip Clio had an obsession with sitting on things; ledges, the curb, railings, basically anywhere she could plant her little bottom she would. However, as soon as she planted her bottom up here she wouldnt budge! I guess she enjoyed the views a lot! Once back down The Peak we ventured over to Man Mo Temple; one of my favorite temples to date. 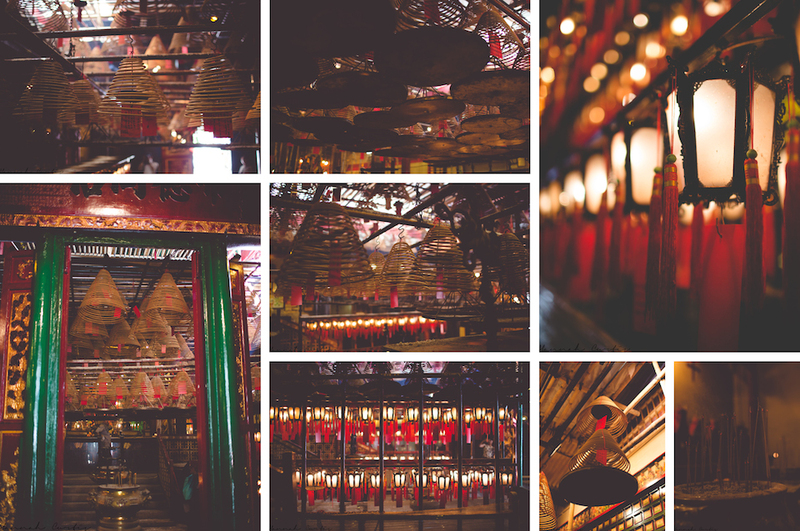 The ceiling full of spiral incense slowly burning while underneath are lanterns with bright red tags and tassels hanging down. The 3rd and final temple we entered in Hong Kong was that of Pai Tai Temple in Wan Chai. Our last day in Hong Kong we attempted a Lonely Planet walking tour of Old Wan Chais Forgotten streets. Sadly it seemed we just weren’t in the mood, so while we did look around the Pai Tai Temple, which has recently been restored, we missed out virtually every other point of interest on the tour. We started the week off with such a great deal of energy but it seems all the heat had taken it’s toll on everyone! What an amazing experience! As I was reading through this and you were mentioning the heat and getting lost and crankiness, I thought this: in the moment it probably felt like a bummer but when you look back on this experience, you will always remember it as a great experience and that you are so glad you did it! Carrie we always laugh about our situations and while we would prefer to not get lost and it definitely would have been nice if it was a little cooler we always have fun and make the most of it! It was a great trip all in all and out of our 7 days we had 1-2 bad ones which still had good parts to them 🙂 Not long till your Disney trip, yay! oh yes for sure, at the time things like that are frustrating but usually by the end of the night we are laughing about it! Oh yes you definitely should visit, I think having family/friends be able to show you around, take you places to eat etc would be wonderful! Wow, I love the temple in front of all the skyscrapers! What a beautiful sight! Thanks! Have you been to HK? Ugh, touring in humid heat is the absolutely worst! Still seems like you all made the most of it though! 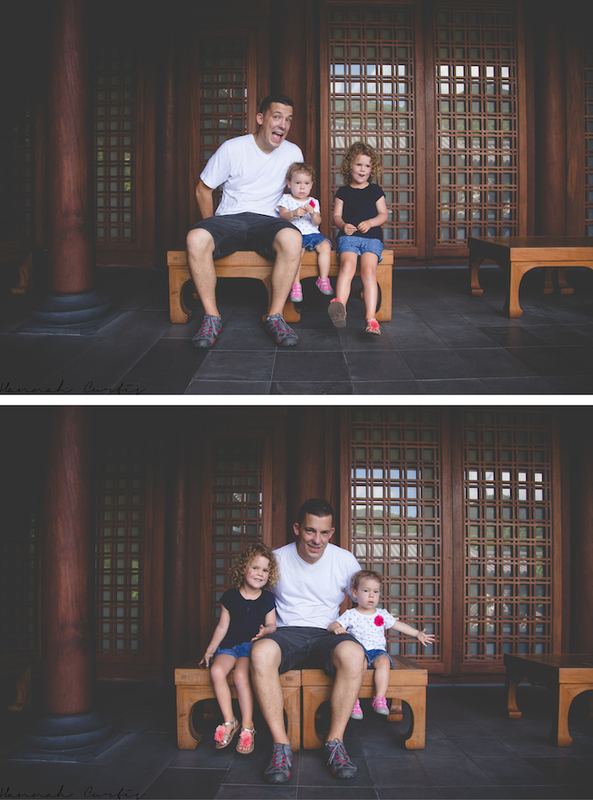 Your pictures are great and your kids are so adorable! 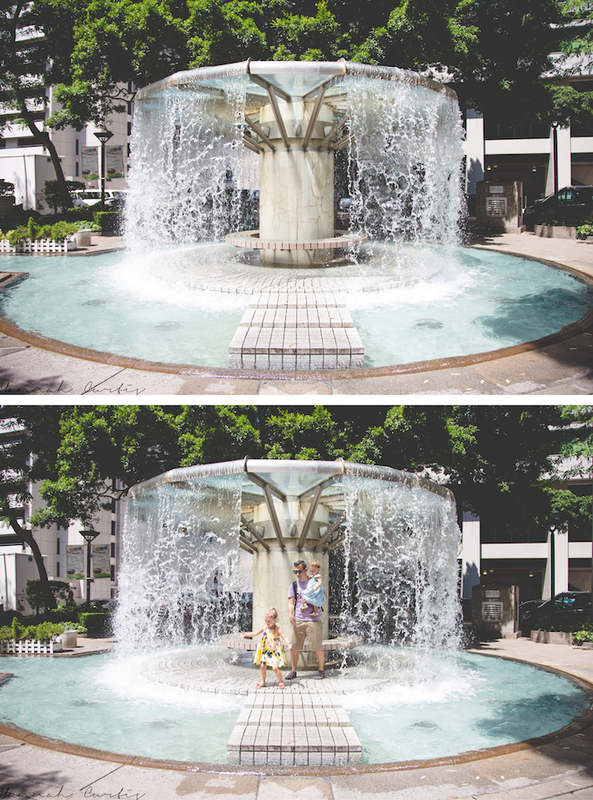 Looks like they had a great time despite the heat! oh my gosh it was so hot! I am thinking our next adventure needs to be some where a little less hot/humid! We went to Vietnam & Cambodia a few months a go and that was miserably hot too!